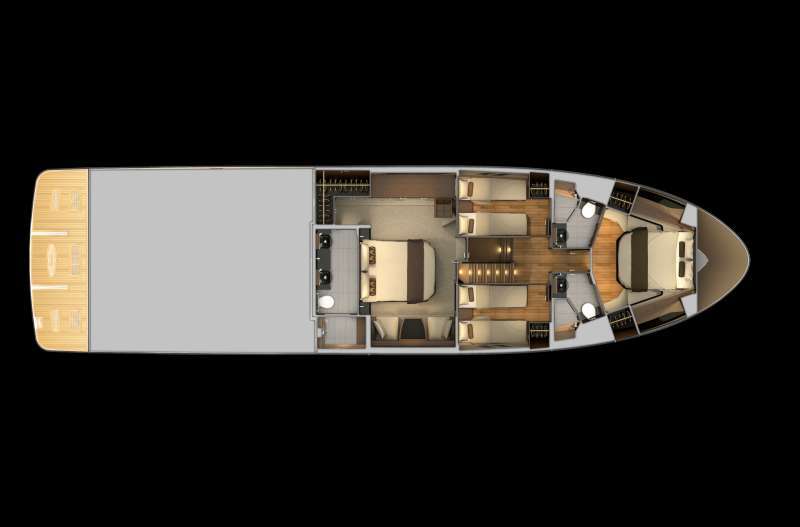 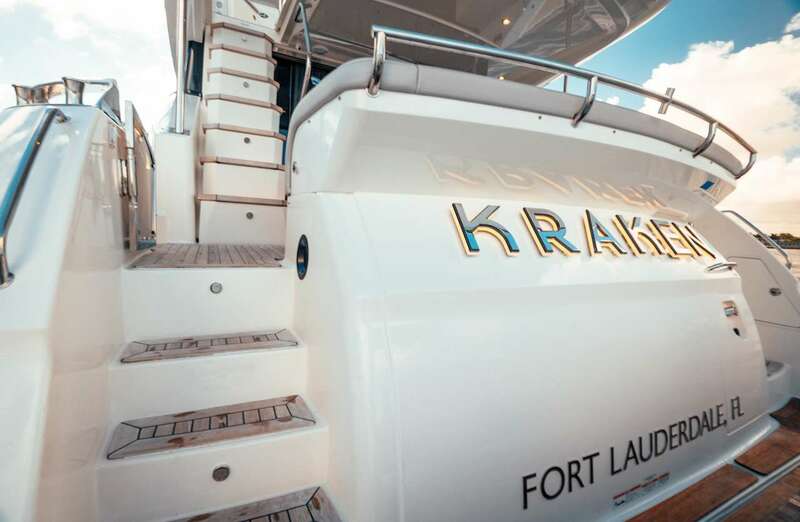 KRAKEN is a truly wonderful 65 Feet boat that is perfect for your next yacht charter adventure. 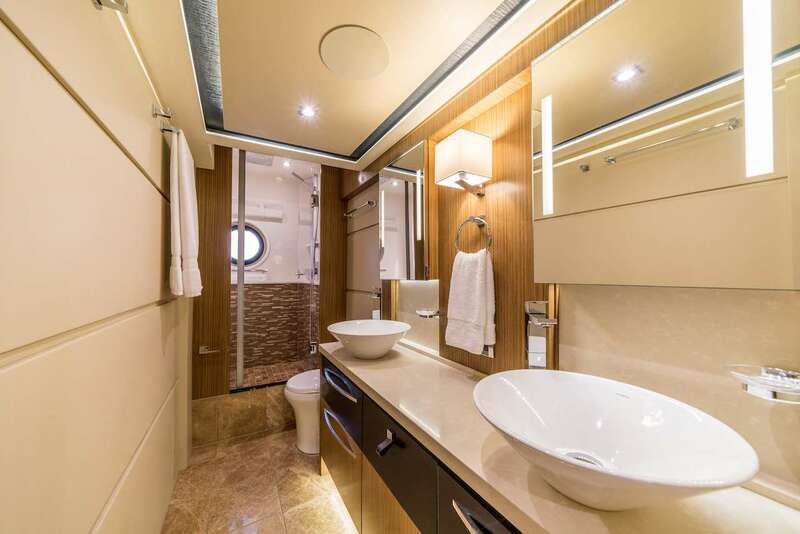 The yacht sleeps 8 guests in 4 cozy cabins. 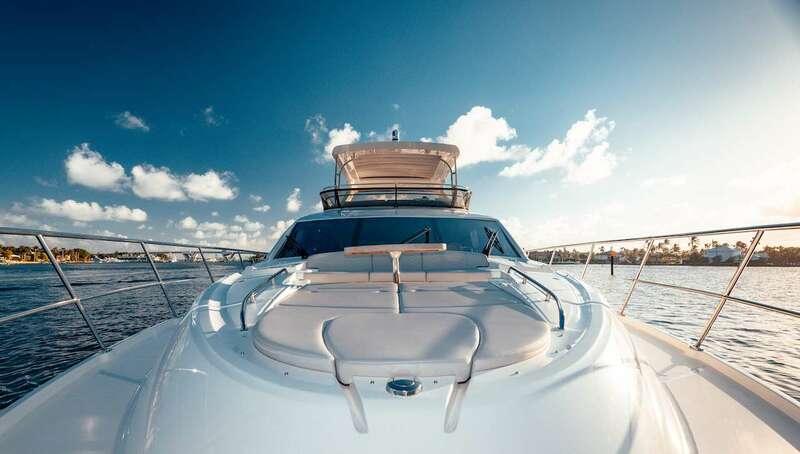 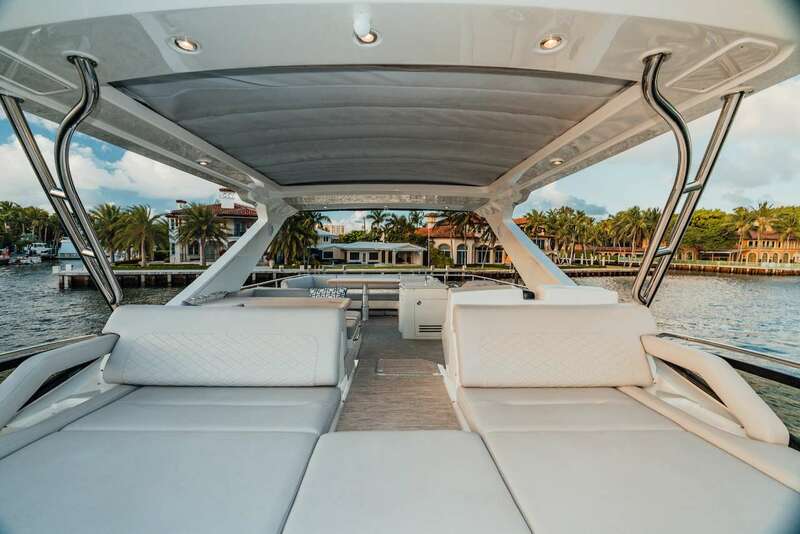 The yacht was built by Sea Ray in 2017. 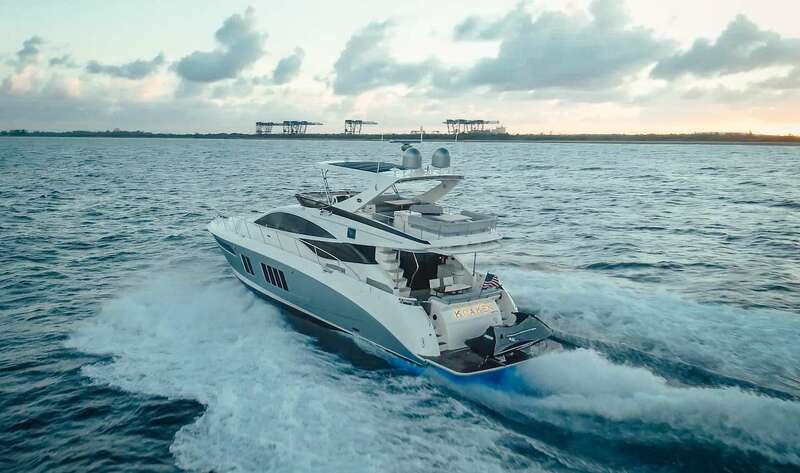 The yacht is equipped with Twin Caterpillar C-18 In-line 6, 4-Stroke Diesel 29KW Onan engine, and can run at a top speed of 30 KNOTS knots. 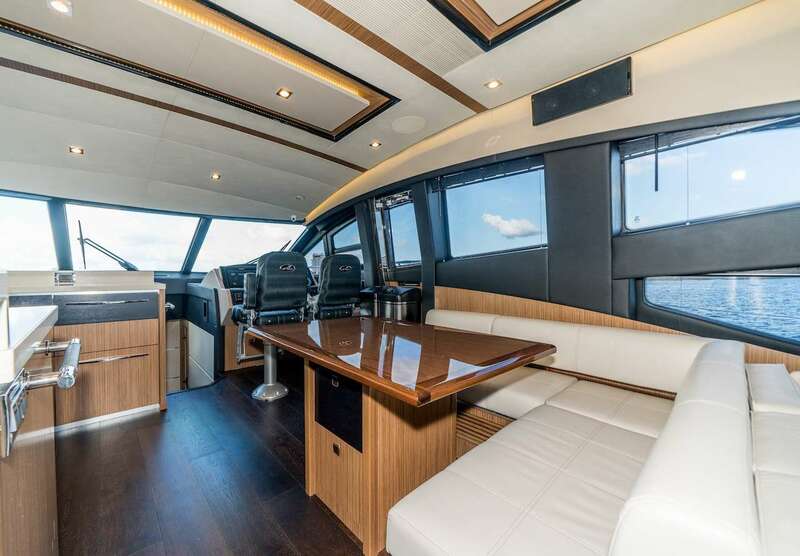 The yacht has a cruise speed of 24 KNOTS knots. 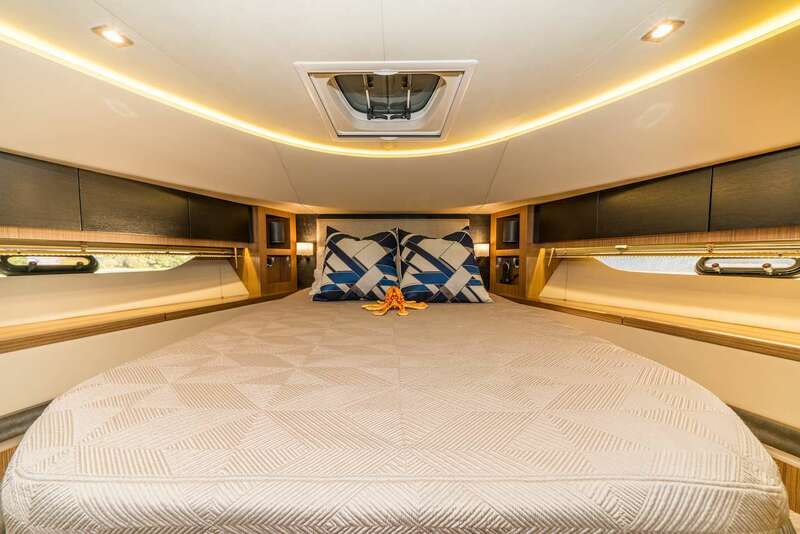 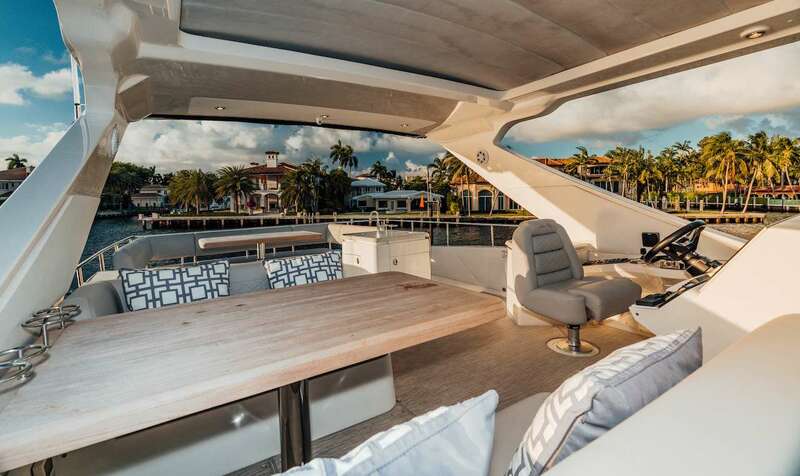 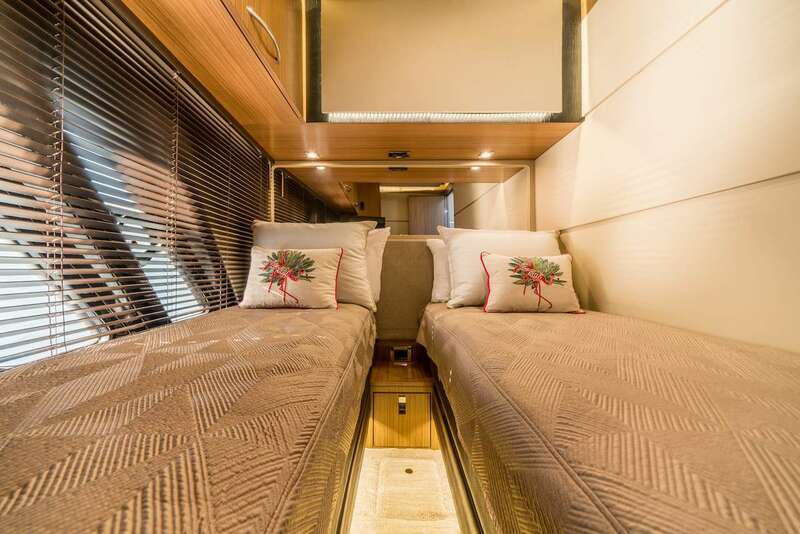 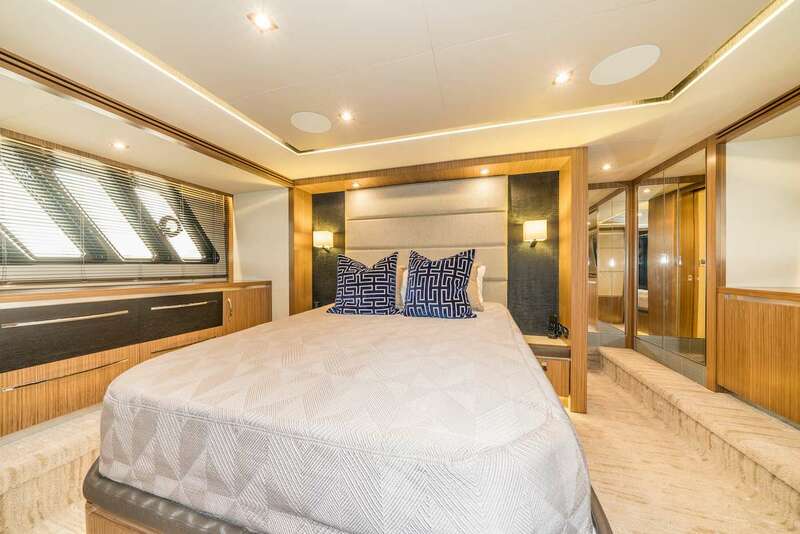 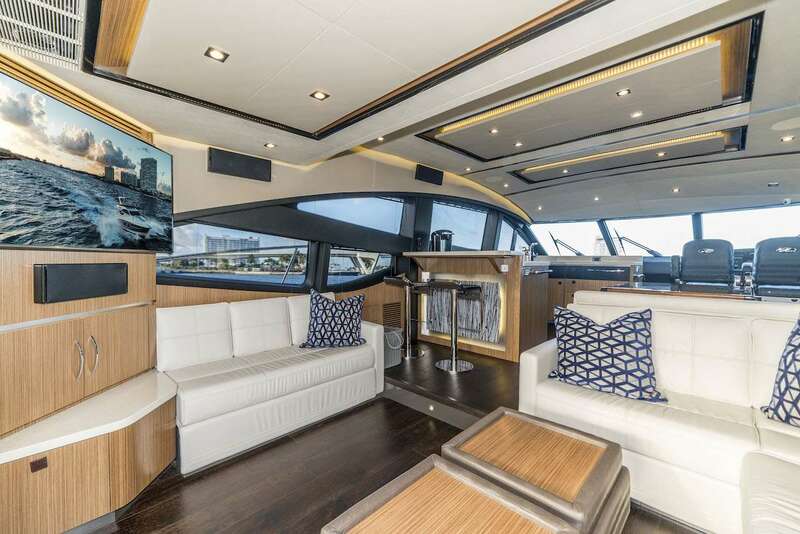 You and your guests will truly enjoy this yacht as it offers many cool features and entertainment, such as: Salon TV, Generator, Ice Maker, Salon Stereo, Hair Dryers, Satellite TV, BBQ, Pets Aboard, Deck Shower, Bimini, Internet Access, Swim Platform, Fishing Gear, Sailing Dinghy, Snorkel Gear, . 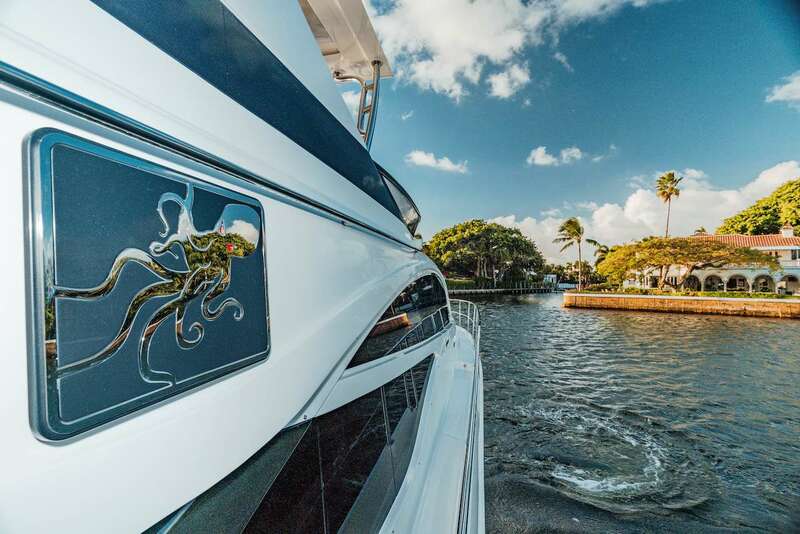 The yacht is open for chartering in Bahia Mar . 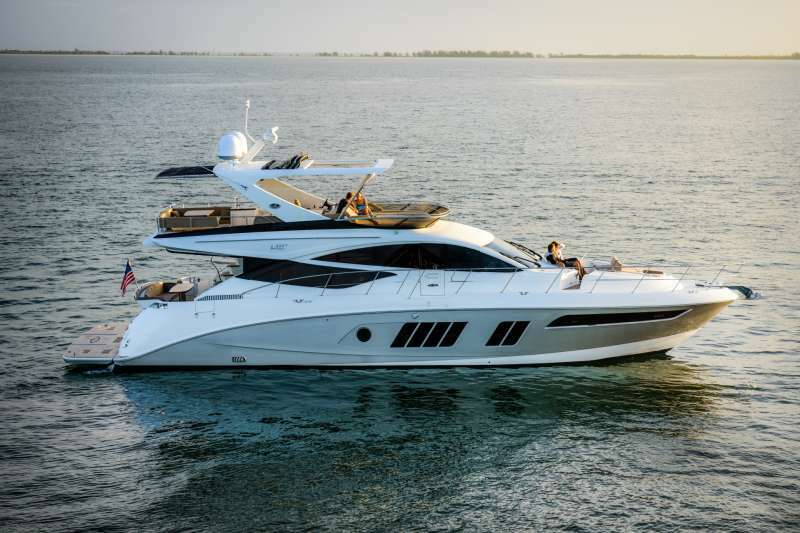 You can charter the yacht for $ / 4 hours or for $ for 8 hrs. 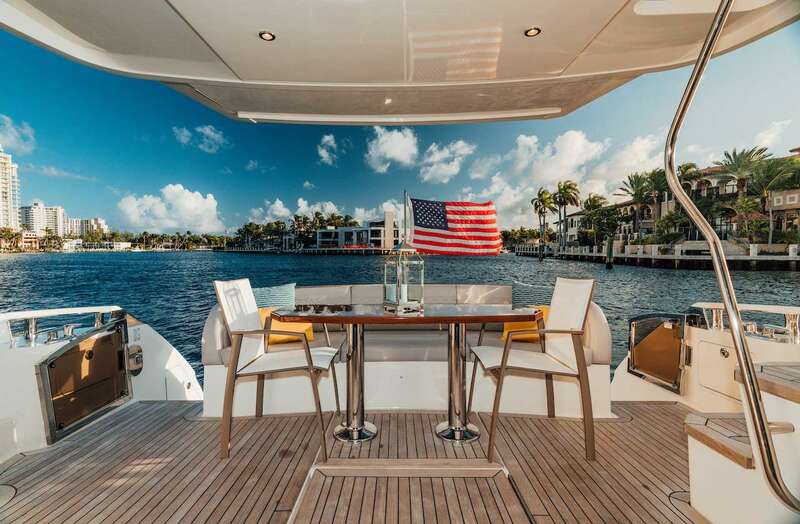 -Scuba Hookah diver with 2-3 underwater lines, compressor, and flags.